The mobile application for School Loop keeps signing you out. Please refer to the guide to install the application. The main cause of this issue is unknown. It could be due to the installation of an outdated or incompatible version of the School Loop application. First, make sure you are on the latest version. If not, please update the application. You can also try uninstalling and reinstalling the mobile application from the Play store. Note: Both images contain links to their respective application distribution sites. If updating or reinstalling does not work, we have a created a demo account for a workaround you may try to make the phone keep your login information stored. 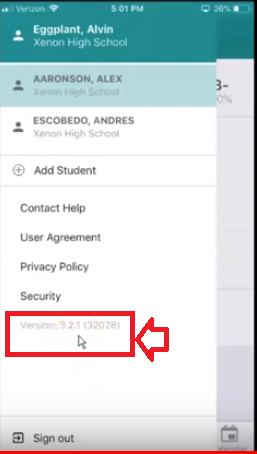 When signed out, tap the X next to the school name. Search for the school name "~play high school". Log in using student17 and password demo411. Sign out and tap the X next to the school name again. Select your own school and log in. Reinstalling the latest version of the School Loop application from the Play store should resolve any issues with signing in.